How sleep affects mental health? A good night sleep is as essential to the human body as is air, water, and food. However, most people skimp on sleep in order to do other activities at night. Lack of sleep can initially feel like a small problem; but in the long run can leave you tired, irritable and will leave you unable to perform at your best. Sleep education is very important as behind the curtains of sleep at night, your brain controls important functions that set the stage for the next day. Poor sleep first attacks efficiency and concentration, mainly caused due to a decline in the energy levels. Energy decline causes us to be less proactive and more prone to making mistakes. This makes situations seem more stressful and unmanageable than they already are. This stress in turn impairs our sleep pattern even more and soon it becomes a never-ending vicious circle. With more than 70 types of sleep disorders, insomnia, obstructive sleep apnea, various movement syndromes, and narcolepsy remains the most common ones. And with such sleep disorders it remains quite obvious that lack of sleep makes you testy, irritable, and short-tempered. We all know, through experience, how sleep deprivation puts us on a short fuse. Whether snapping at a co-worker, getting a fight with your partner, or losing your cool with your kids, not getting enough sleep increases the likelihood your emotional responses will be more impulsive and intense. Emotional reactivity goes beyond being cranky. Even a single night of sleep deprivation sets us up. Sleeping poorly makes us focus more on the negative, and increases negative thinking. Repetitive negative thoughts are intrusive, difficult to control, and can have a major impact on how you feel and function. 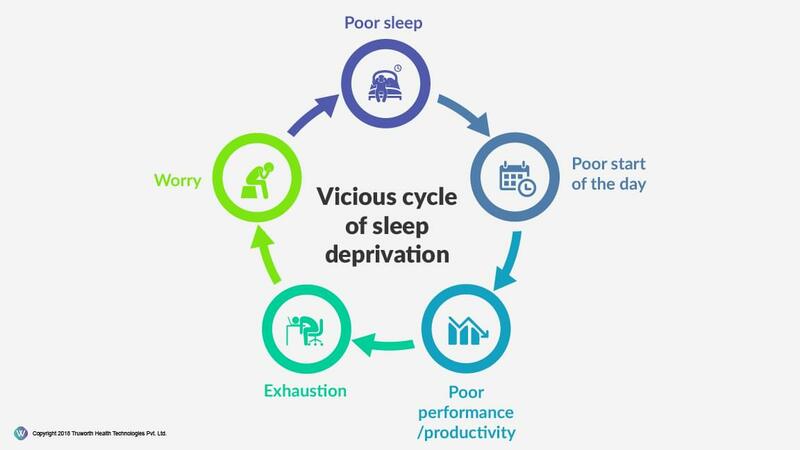 Sleep deprivation exacerbates emotional reactivity and fearful responses, and creates an often-intractable negative outlook. It also makes us worry more. When we’re sleep deprived, we worry more about the future—especially if we’re prone to worry in general. Sleep deprivation doesn’t only affect our individual emotional well-being. It also undermines healthy, satisfying relationships. It also interfere with building intimacy between partners. Women experience more anger, more hostility, and more depression when deprived with sleep in the morning than men do. Most scientists chalk this up to women’s ability to multitask. That additional energy expenditure means women need more sleep, to restore full, healthy function to their brains. When they don’t get the full amount of restorative sleep they need, emotional difficulties can arise.